Are you as excited as we are for the release of "Build It"? 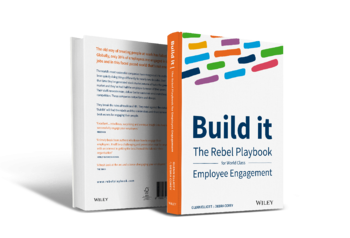 Every few weeks, we'll be showcasing our favorite blogs from our sister site, featuring some exclusive employee engagement success stories and blogs from the rebel authors Glenn and Debra. The book hits shelves in February 2018. Last time, we learned that rebels come in all shapes and sizes, as proven by the two original rebels themselves! If you missed it, check out the recap here.